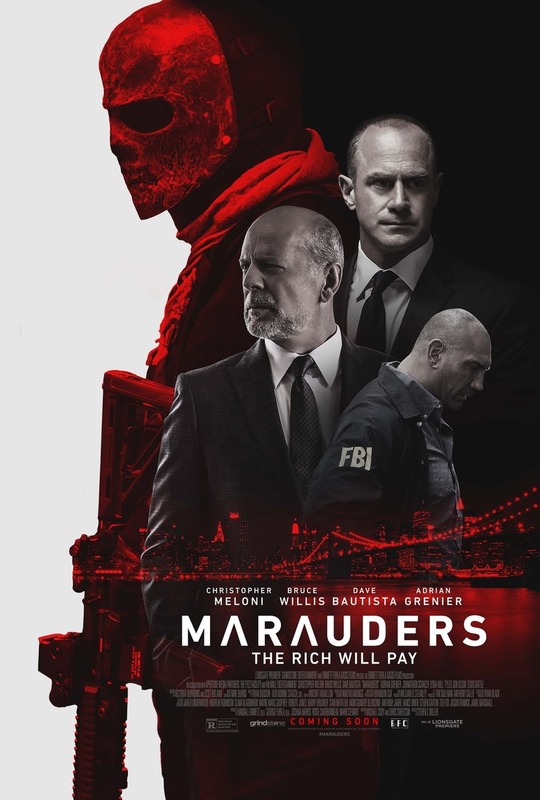 Marauders DVD and Blu-ray release date was set for September 13, 2016 and available on Digital HD from Amazon Video and iTunes on September 13, 2016. A heist at a bank that results in homicide sets off an investigation headed by three top FBI agents. Although the owner of the bank, Jeffrey Hubert, and his clients are suspects that appear to have every reason to commit the heist, new robberies lead the FBI team down a dark path of secrets, lies and betrayals. The bank robbers don't steal for greed: They give the money they take to charities. When non-monetary safe deposit box contents disappear and a conspiracy unfolds before them, the agents realize that they are chasing a far greater crime than the deadly heists.